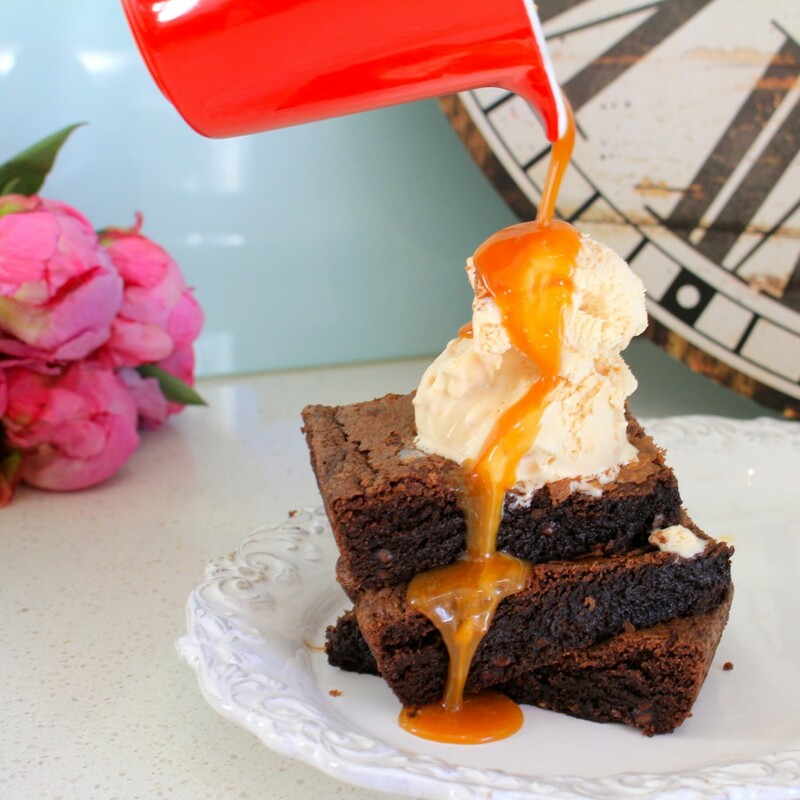 Peanut Butter Fudge ice-cream was the perfect accompaniment for freshly made brownies. 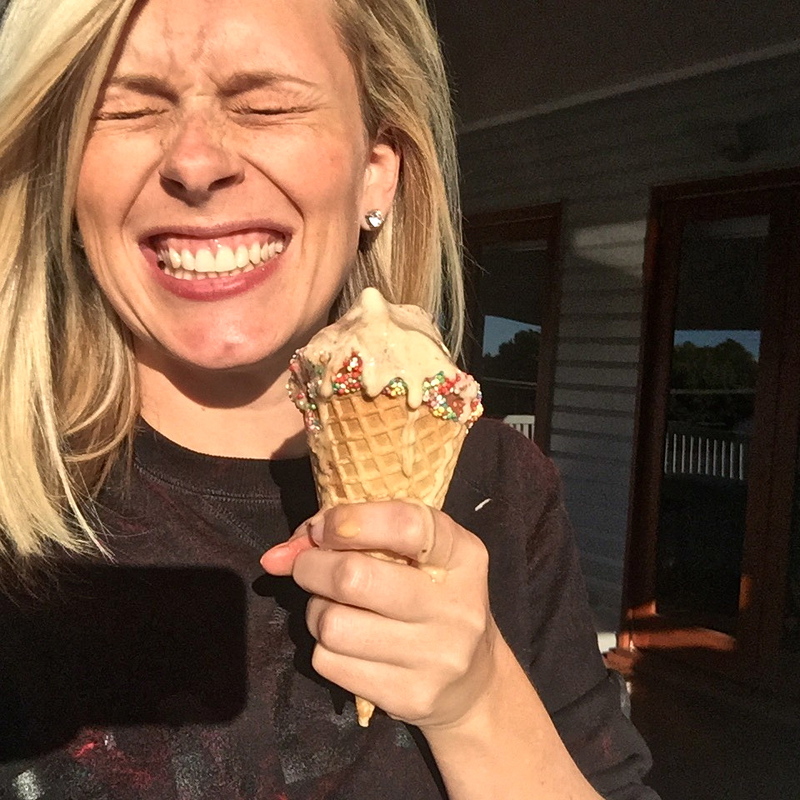 Last week I had a dream come true; I opened my front door to a delivery of free ice cream! 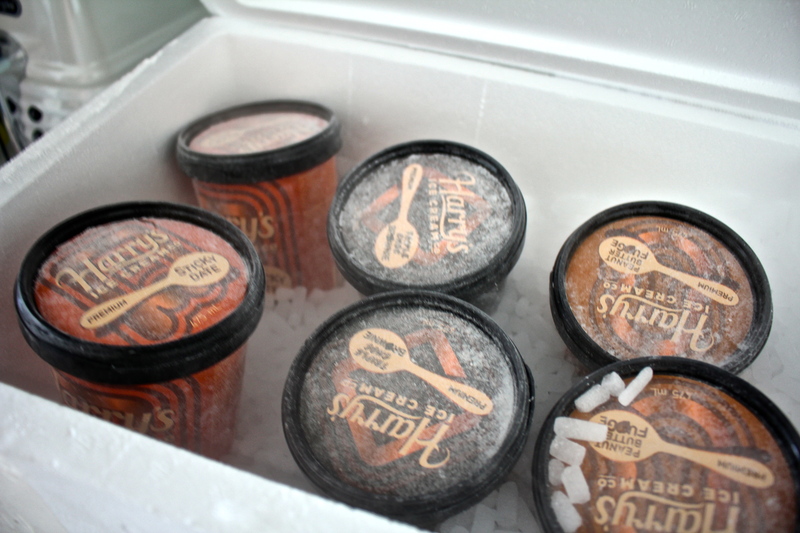 Two tubs each of Harry’s Ice Cream Co‘s premium Peanut Butter Fudge, Sticky Date and Triple Choc Brownie. Shockingly, I wasn’t aware of the fact that July is International Ice Cream Month, but apparently it started back in 1984 when US President Ronald Reagan declared not just International Ice Cream Month but that the third Sunday of the month as National Ice Cream Day, citing that ice cream was a “fun and nutritious food”. Clearly Ronnie was my kind of nutritionist and I shall toast him with my ice cream sundae on Sunday. 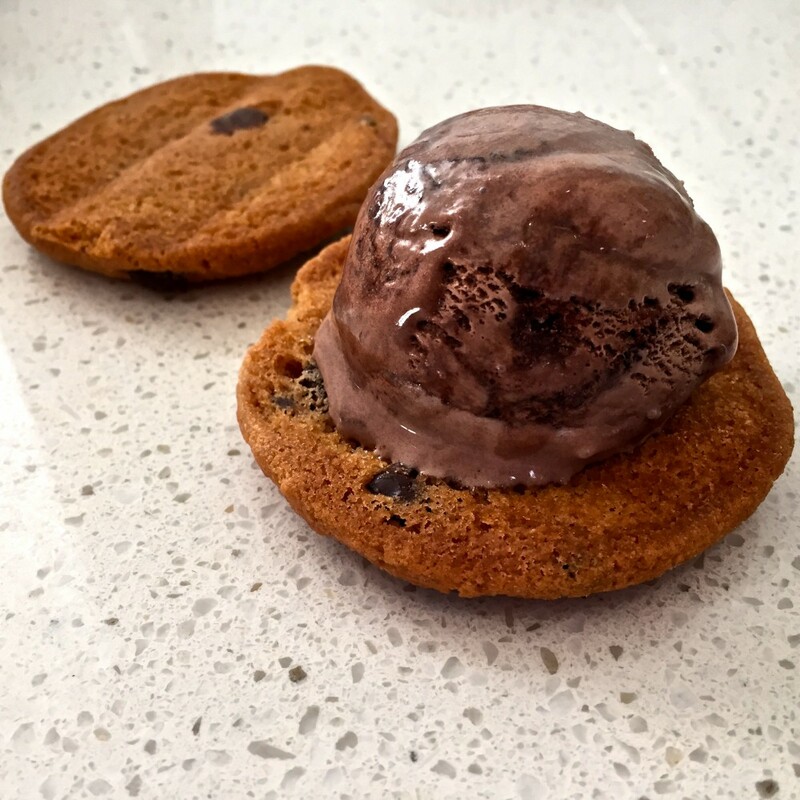 With so many tubs of ice cream at my fingertips, I decided to see if I could recreate some of the tasty treats I’d long ago pinned on Pinterest. You know, those ones you pin knowing that you’ll never EVER make them. Well, I gave it my best shot and then fed them to some of my friends and family … and then ate the rest myself so if someone could now deliver a Personal Trainer to my door, I’d be very appreciative! Until then, what’s a little extra padding during winter?! 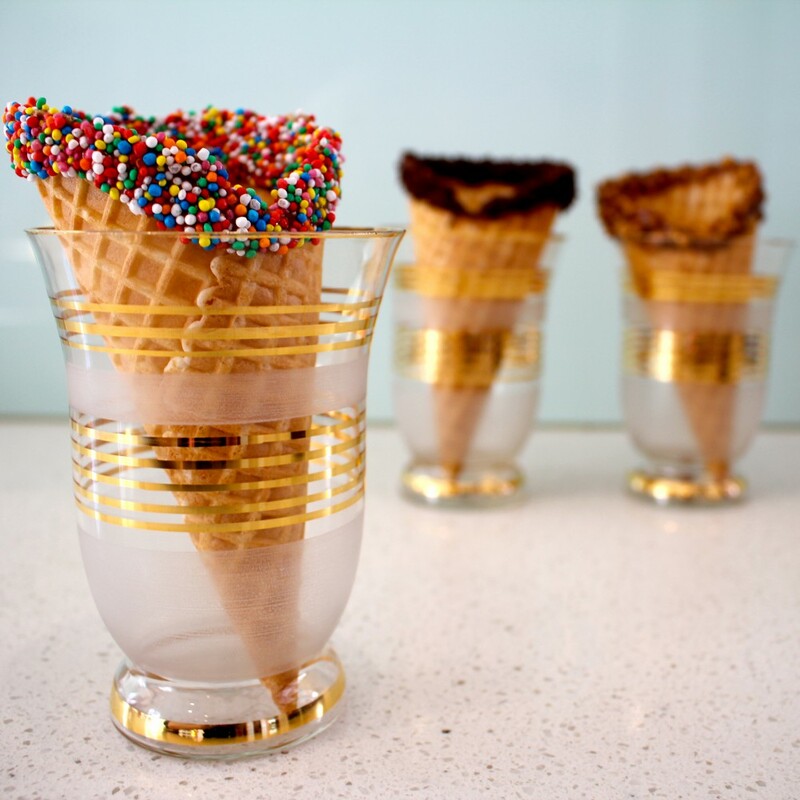 Three easy steps and you too can have these delicious customised waffle cones. I don’t know about you but for me, waffle cones were an acquired taste. Although I’ve always loved ice cream and waffles, I just couldn’t fathom waffle cones. Or any cones. I always needed a spoon to try to catch any ice cream at the bottom of my cone before throwing it out almost untouched. But these days, just try to keep me away from a waffle cones. 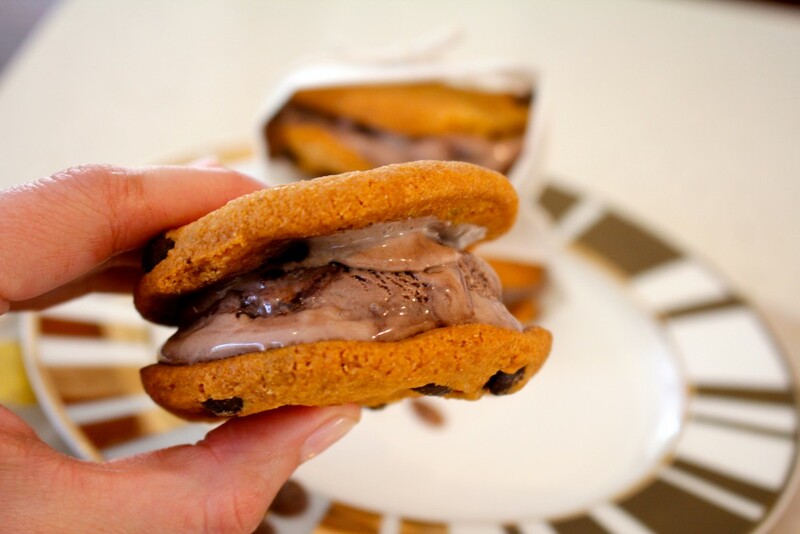 And if you add in sprinkles well … happy days! 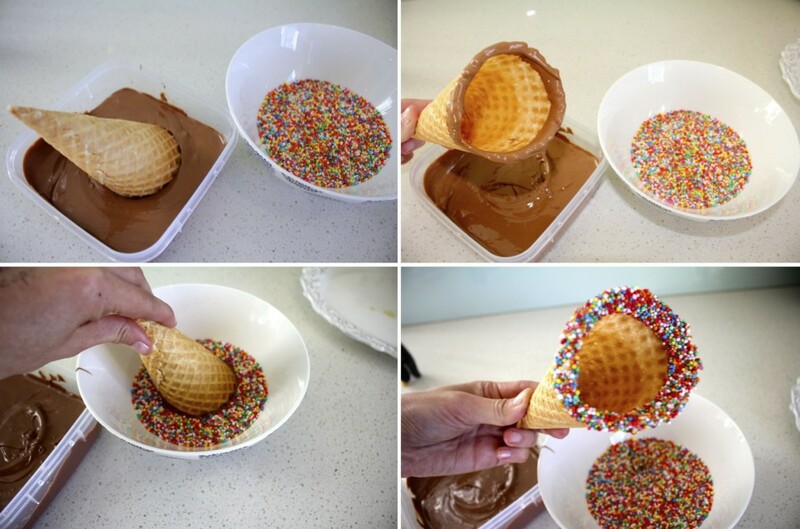 I couldn’t resist making these cool cones topped with melted chocolate and sprinkles. I even had a go at crushed nuts, but they didn’t seem to stick so well. 1. Place the Melts in a bowl (big enough to fit your cone in) and heat in the microwave for two minutes. 2. 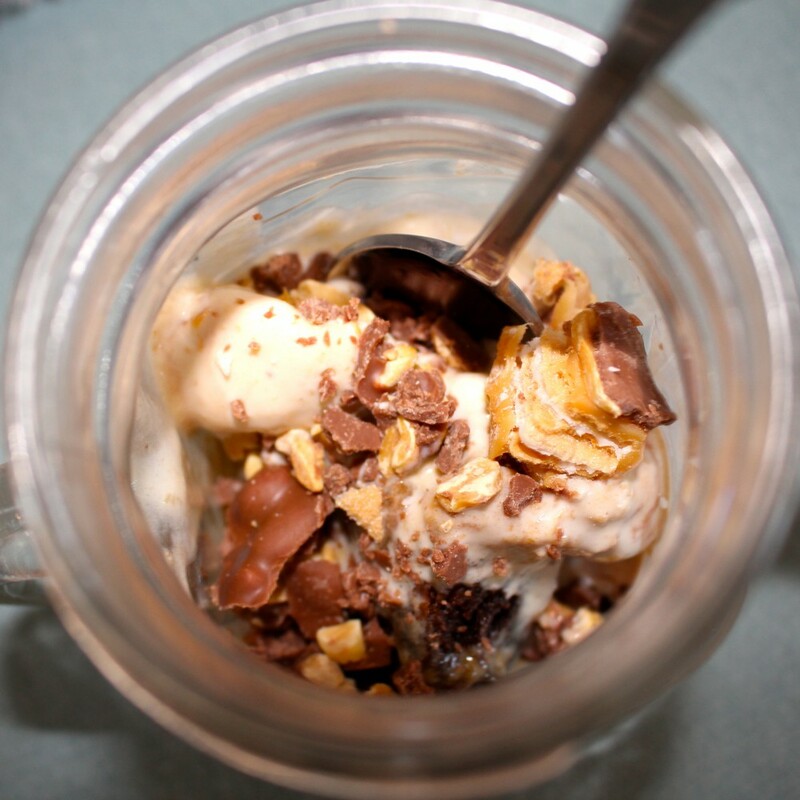 Dip each cone into the melted chocolate and then into a box of your preferred topping. Stand in a glass until set. Three seconds after this photo was taken, I had most of that ice-cream (Top: Sticky Date, Bottom: Choc Fudge Brownie) in my mouth. I had no choice … it was dripping. 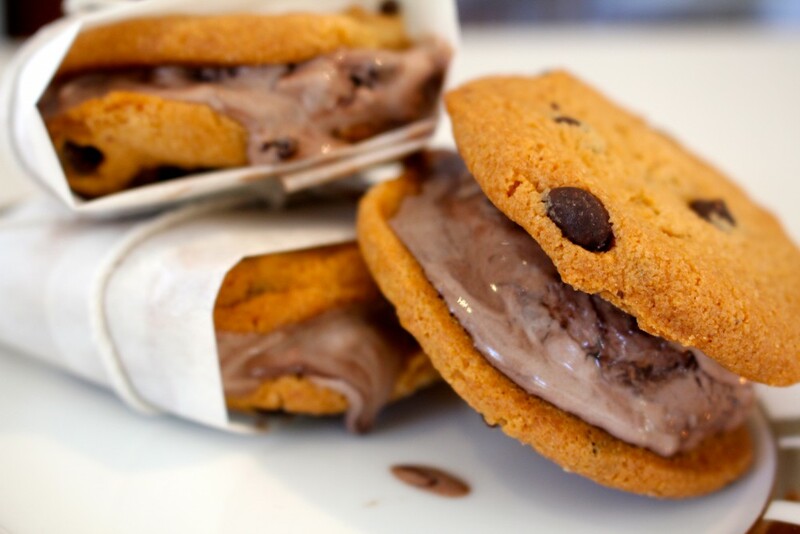 Whether your favourite ice cream is nestled in between cookies, cakes, donuts, churros (it’s so a thing now) or wafers, an ice cream sandwich is almost guaranteed to put you in a good mood. Think of an old school Maxi Bon but even better because you can choose your favourite flavour of ice cream and the topping of your choice! I learnt the hard way that you need to get your ice-cream out of the freezer the moment you’re ready to serve because my ice-cream was melting all over the place by the time I was done (and I wasn’t allowed to lick the bench). Turns out, it’s actually easier to cut your tub into slices and then peel the tub off the ice-cream once it’s in the cookie. Or you can do what I did and just drop on scoops of you preferred flavour and then squish! For serving purposes, I wrapped mine up in baking paper and string. Or if that all seems a little too complicated, just drop a scoop of your favourite ice cream on a piece of freshly made brownie. 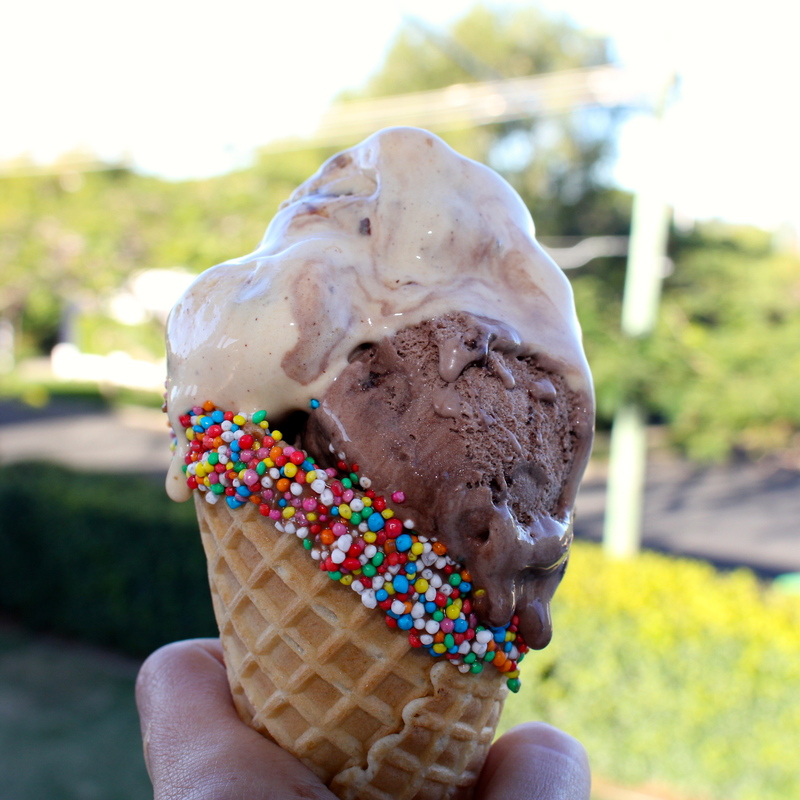 To celebrate International Ice Cream Month, Harry’s has hit the road with eskies packed full of ice cream so they can deliver happiness to the door of thousands of Australians. 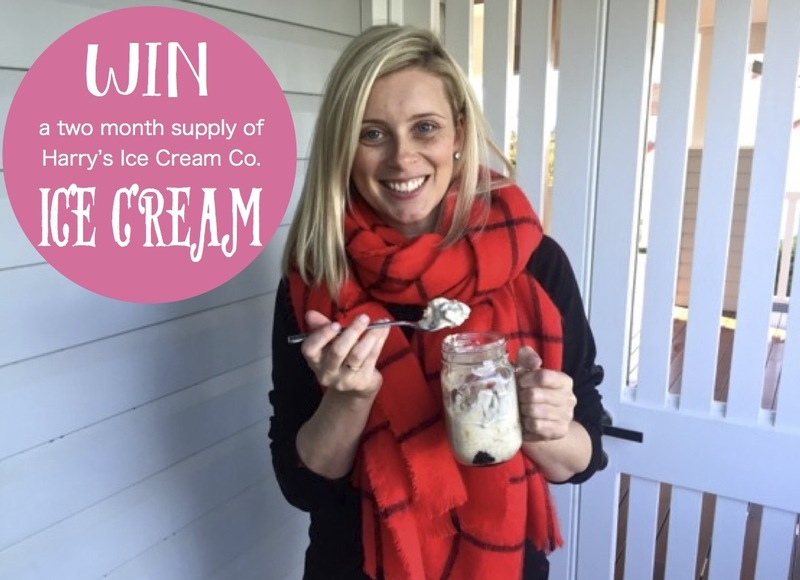 Share your #icecreamemergency with Harry’s on Facebook and, just like me, you could find an eskie full of emergency ice cream on your doorstep. 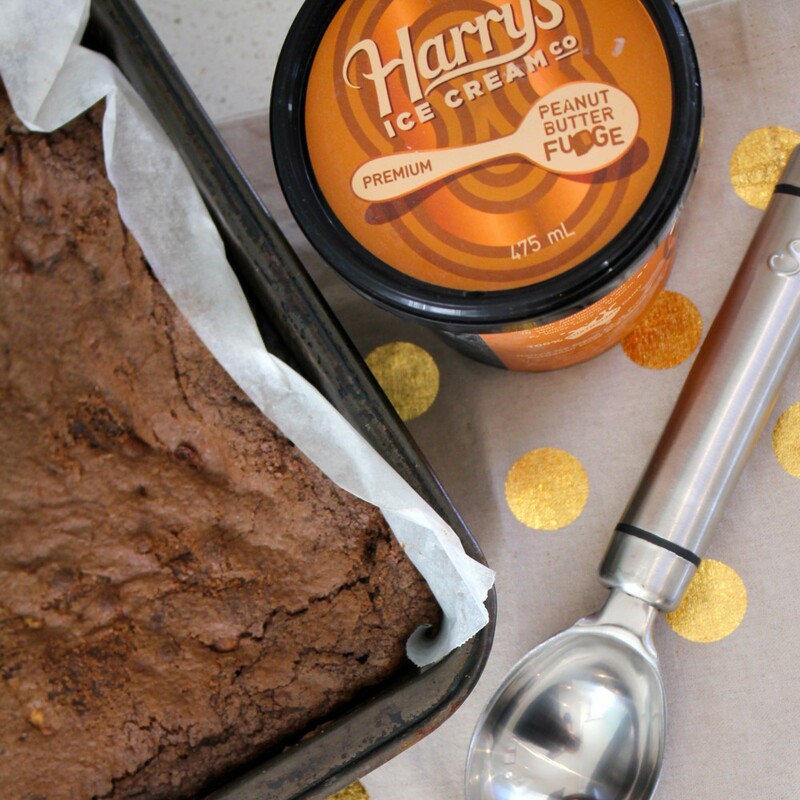 Brownie, Harry’s Ice Cream Co Peanut Butter Fudge ice cream and crushed up Picnic.